In a way, we’re a very lucky generation. We’ve already seen 3 distinct eras in the gaming industry. We’ve seen at least 3 different generations of consoles. We’re fortunate that game developers are courteous enough to re-master some of our favorite childhood games, and present them in a way that fulfills our desire of playing these classic games in the highest settings and sharpest graphics possible while enjoying a dash of nostalgia simultaneously. However, there are instances when we may feel a little hard done by as well. One of those instances is the latest spat between Bethesda and Sony. While there’s a segment of gamers that keep their ears out for news like this in order to be aware of the latest highlights from the gaming world, there’s also a segment that just wants to enjoy their favorite games without worrying too much about the back-end. After all, that is the primary purpose of games to begin with i.e. to help us relax. If you’re someone that belongs to the latter category then here’s some news that will ruin your day; Elder Scrolls: Legends may not make it to the PlayStation 4. Bethesda has made it very clear. Unless a compromise is reached with Sony in regards to its fairly strict cross-play policy, the much-awaited game will not land on the PS4. The situation as described by Bethesda reps is “critical”. The whole thing would seem absurd to a gamer that’s been following the news. When Fallout 76 was announced by Bethesda, there was an intense online debate about how PC gamers, Xbox gamers, and PlayStation gamers will be able to play together. A debate did emerge, and it became fiercer as time went by. All this over a card game, of all things! Cross-play is routinely pointed out as a major bone of contention between all the platforms. There is an air of confidence in the industry that there will come a time when gamers will have full inter-platform compatibility and they’ll be able to compete with one another. Who knows, there might even be re-mastered versions of some of the classics that’ll have the same features and we’ll be able to enjoy these aspects. Currently, that’s all a pipe dream. But that doesn’t bother gamers that much. It doesn’t matter if you’re on a PC, Xbox or PS4. There are still millions of users online with whom you can play, interact and compete. It’s a different story when it comes to the studios. While they know that cross-functionality and cross-play would benefit them highly, as they’ll be able to market their games better, it’s a problem they can deal with in most cases. That’s where the problem comes in. 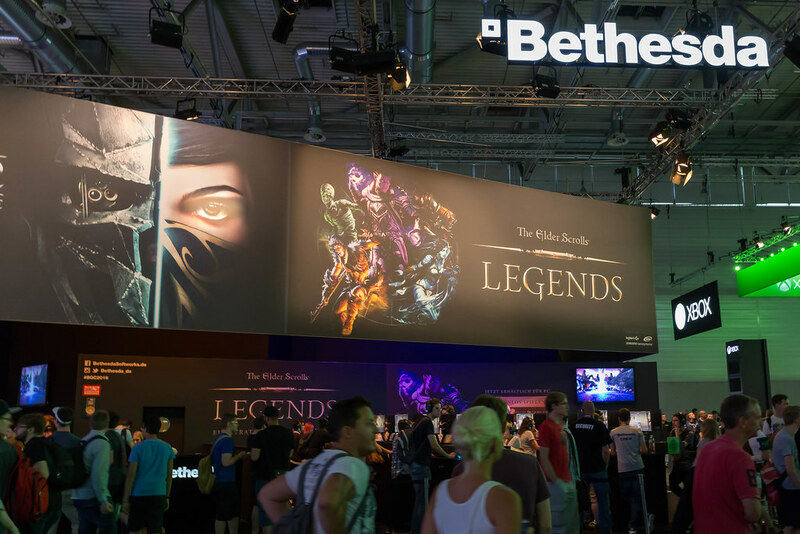 As per Pete Hines, the senior vice President of Marketing & Communications at Bethesda, “It’s a lot more pertinent to Legends”. He went on to explain why Bethesda is standing its grounds when it comes to this specific game. The Elder Scrolls: Legends mechanism is fairly simple. You compete with players through different card competitions and you progress depending on how well you perform. All pretty standard stuff for a card game. However, cross-platform progressions mean that you’ll be able to load up the game on any platform you want. If you’re logged in you can pick up that game and continue on. There’s no blockage, there are no barriers, there’s no reason why you can’t maximize your time on this platform. The mechanism has been deliberately put into place within the game to allow more flexibility for the gamers. It’s also been used as a major marketing tool. For instance, suppose you’re playing with another PC gamer and you suddenly decide that you want to head out. You won’t have to forfeit the game in the middle or excuse yourself from the game. You can simply open up your mobile and pick up the game from there. 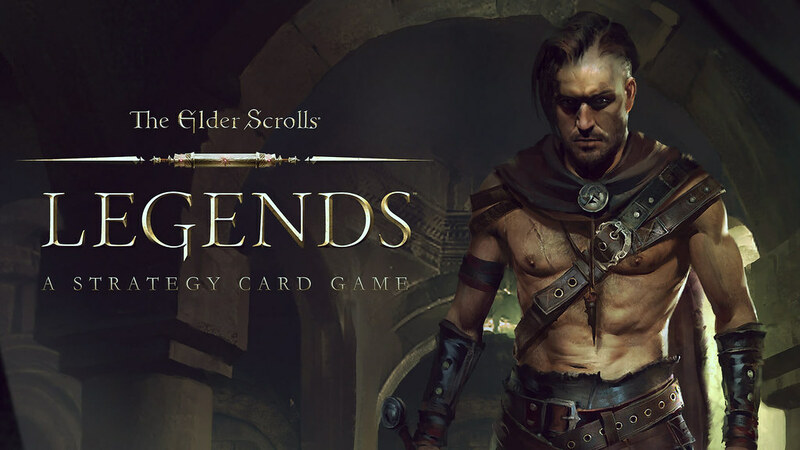 According to Hines, that is the one feature that sets Elder Scrolls: Legends apart from most of the other card games out there. It’s also why it is important that the game has full cross-platform compatibility. It should be mentioned here that Sony is rapidly gaining a reputation as the single biggest obstruction towards complete cross-platform compatibility. It has been singled out for not even allowing compatibility in some of its PS4 games. While it is possible for a Fortnite gamer to simply switch from their Switch account to an Xbox account and continue playing where they left it off, you cannot do that on a PS4. If you’ve ever logged into the PS4 using your Fortnite account, then all the progress you made, all the rewards you collected, all the skins and other collectibles earned can’t be carried on to other platforms. This isn’t the first time that Sony’s found itself facing the ire of the entire gaming community on this issue either. Last year, it was its stubbornness when dealing with the whole Minecraft controversy. There’s only one question on the minds of gamers around the world right now; if Fortnite cannot make Sony budge…what will? Hines has repeatedly said that Bethesda has no plans to burn any bridges. He’s said that his team and Bethesda as a whole are in constant contact with Sony. But he’s maintained that Legends will need to be released in the form that it was designed to be released in. “There is a certain mechanism. It needs to be in a specific way. Otherwise, it’s not the game that we designed”. Despite the recent controversy, Hines has refused to signal out Sony. He’s said that Bethesda has had a very long and productive relationship with Sony and hopes that something can be worked out. But, consider this; what will happen if things don’t pan out as Hines wants them to? Would Bethesda go as far as not release it on the PS4 at all? It would surely be a dire and ominous decision. But Bethesda shows no signs of relenting and neither does Sony.